Mike & Maaike is a progressive industrial design studio led by Mike Simonian and Maaike Evers. Formed as a design laboratory, the San Francisco studio works both independently and with clients to create new opportunities through products, technology, furniture, environments and transportation. Maaike Evers is Dutch, Mike Simonian, Californian. These distinct backgrounds inform a diverse body of work marked by experimentation, substance and strong conceptual narratives. Recent collaborations include: Google, Haworth, Artifort, Incase, Belkin, Xbox, Blankblank, Council, Coalesse, Steelcase, and the City of San Francisco. We partner with progressive people and companies that are leaders in their field, including Entrepreneurs, Architects, Photographers, Interaction designers, Animators, Sewing professionals, Prototypers and Makers. Industrial Design Internships: We offer 3 and 6-month internships. To apply, please send a portfolio and resume to info@mikeandmaaike.com Please understand that we are unable to respond to all inquiries. If there is an opportunity, we will contact you with details. “Dutch Design Yearbook. Milan Design Week” April 2011 p.26. “Metropolis” Mar 2011 p.65-73, 114. “Metropolis” Sept 2010 p.76, 77. “Lufthansa” Exclusive Sept 2010 p.20. “Dwell 2010 Buyers’ Guide” cover. “Accesorios de Madera” Linea Editorial Aug 2010 p.59, 85, 195. “DAMn Magazine, Belgium” Aug 2010 p.112. “Surface” July/Aug 2010 Cover Story “Road Map to Tomorrow” Tim McKeough p.40-45. “Vimadeco” Greece, Aug 2010 p.38. “California Home + Design” July/Aug 2010 p. 60. “Living etc” India July 2010 p.19. “Plaisirs de Vivre” June/ July 2010 p.79. “SPUR Urbanist” “Designing the City June 2010 p. 5-6. “Dwell” Mar 2010, p. 83. “Dwell” Jan 2010, p. 28, 42-44. “Magaz Design” Egypt Oct/Nov 2009 p.34-35. “Lufthansa” Exclusive Oct 2009. Inspirations Mobilitat p.44-45. “Automotive” Italy Oct 2009. cover, p.1-4. “Interior Design” Fall Tabloid Oct 2009. “AWM” The Netherlands Oct 2009. p.53. “Vimadeco” Greece Oct 2009. p.19. “Vision” Oct 2009. Eco-Friendly Technologies in the Coming Auto World. p.172-173. “Design Play” Sept 2009 Viction:ary p.6, 42-43. “Domus” Sept 2009 Sustainable Mobility. p.126-127. “House Traders” Aug/Sept, 2009 p.76-77. “I.D. Magazine” July/Aug 2009 p.41. “7X7” Best of the Bay June 2009 p.71. “Time Magazine Style & Design” May 2009 p.27. “Ambijenti, Belgrade” April 2009 p.124-127. “Wallpaper Design Awards Issue 2008” Feb 2008 p.89. “San Francisco” Jan 2008 p.52. “Blueprint Asia” Dec 2007 p.13. “Play Vanilla” Nov 2007 p.54. “I.D. Magazine” Nov/Dec 2007 p.112. “Surface” Oct 2007, cover, p.026, 155. “Padfinderissue #1” Oct 2007 p.78. “Interior Design” Sept 2007 p.72. “Paris Match” Fall 2007, p.146. “Riviera Interiors” Fall/Winter 2007, p.86. “California Design 05”, 2005 pasadena Museum of California Art. 2016 - Inspiring Fifty, Netherlands. Maaike Evers named one of the fifty most inspirational Dutch women in technology. Dec 9-31, 2017: Good Innovation:International Design Exhibition. Shenzhen, China. July 22, 2017: Mike Simonian speaks at Art Center’s Create Change Event. Beijing, China. April 18, 2017: A selection of Mike & Maaike designs acquired by The Henry Ford Museum, Dearborn Michigan. Aug 5-Sep 17, 2016: An Exuberance of Color, Tansey Contemporary, Santa Fe, New Mexico. Mar 12, 2015: Maaike Evers: My Journey in Design. California College of the Arts, San Francisco. Aug 15, 2014: Haworth “Be Inspired” event featuring Windowseat Lounge. 111 Minna Gallery, San Francisco. 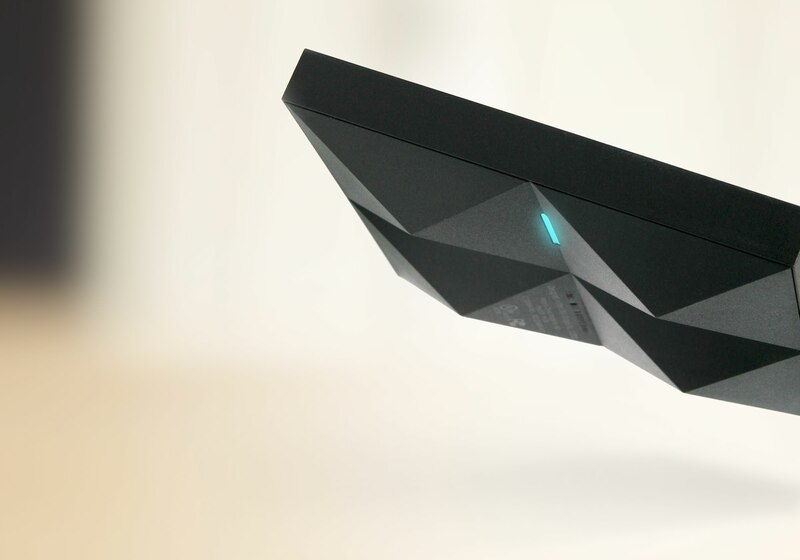 Feb 21- May 19, 2013: The Next Wave: Industrial Design Innovation in the 21st Century. Washington D.C. Presented by Apartment Zero and Artisphere. Curated by Douglas Burton. Oct 12, 2012: Mike & Maaike speak at Design by Fire Conference on Interaction design, Consulate General of The Netherlands, San Francisco. Sep 13-14, 2012: Juxtaposed:Power and Veer Mobile on exhibit at The NWBLK Opening, San Francisco. 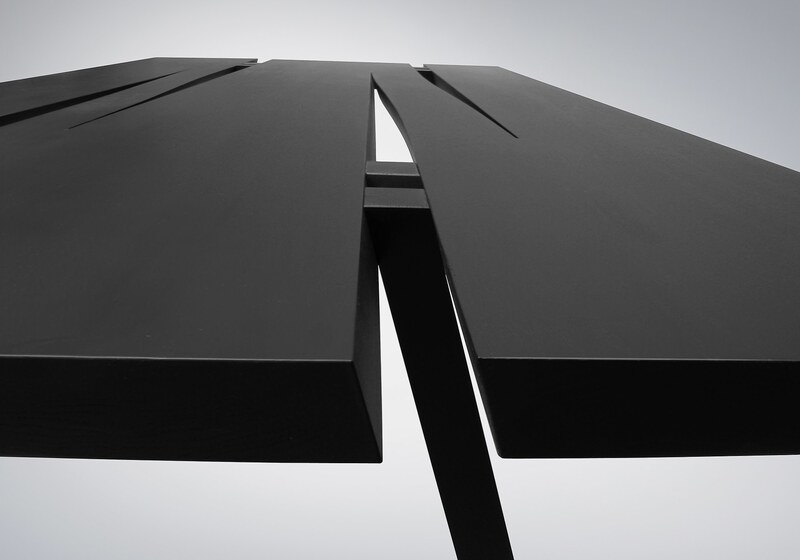 Jan 23-Mar 16, 2012: Need and Desire exhibition, UC Davis Design Museum. A retrospective curated by Rob Zinn, founder of blankblank, Davis, California. Jan 18, 2012: Mike Simonian lecture at Rice University, Houston, Texas. Dec 6, 2011: SFMOMA A + D Forum. Mike Simonian & Derek Chen talk at Council, San Francisco. 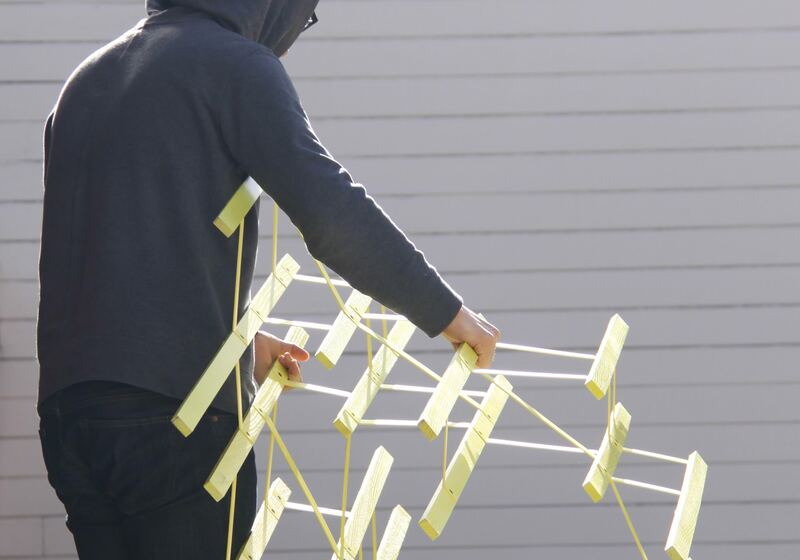 Sept 29, 2011: Mike & Maaike’s designs for Council featured as part of Propeller installation during GOOD Design SF. Swissnex, San Francisco. Sept 7, 2011: For IDEO.org launch, Tim Brown moderates a panel with designers Maaike Evers from Mike & Maaike, Rob Forbes from PUBLIC, and Maria Giudice from Hot Studio. July 17, 2011: Plywood for Good. Mike and Maaike contribute a custom-designed skateboard deck to be sold at auction at this event to benefit earthquake aid relief efforts in Japan. June 4, 2011: Swarm screens featured in SFMOMA “Living Room” event to celebrate the Steins Collect exhibition. May 15, 2011: Dwell and BMWi present “InMotion: Live, Drive, Innovate” featuring Maaike Evers in conversation with Benoit Jacob, Head of Design BMW i, Mitchell Joachim of Planetary ONE & Terreform ONE, and Sam Grawe, Editor-in-Chief Dwell Media. May 7, 2011: Mike & Maaike speak at “Social Impact” - IDSA Western District conference. April 6, 2011: Maaike Lecture at Cranbrook Academy of Art. Nov 20-Dec 5, 2010: Biennale Internationale Design, Saint Etienne, France. Nov 16, 2010: A New New Amsterdam: Dwell Conversation with Sam Grawe, Maaike Evers, Alissia Melka-Teichroew and Jan Habraken. Consulate General of the Netherlands, San Francisco. Nov 4, 2010: Mike and Maaike Lecture at AKQA offsite event. May 29-Feb 6, 2010: The New Materiality: Digital Dialogues at the Boundaries of Contemporary Craft. Fuller Craft Museum, Brockton, Massachusetts. May 15-Jun 11, 2010: Cite Goes America Exhibition. Curated by Alissia Melka-Teichroew and Jan Habraken. CITE showroom, New York City. May 15-18, 2010: Mike and Maaike Swarm installation at The International Contemporary Furniture Fair, New York City. Mar 11, 2010: Jewelry Designers/Jewelry Makers: Who’s Making It? San Francisco Museum of Craft+Design Speaker Series Event. Dec 1, 2009: Bloomberg Cars and Fuels Briefing, Hammer Museum, Los Angeles: Mike and Maaike speak at the Cars and Fuels Briefing, presented by Bloomberg. Nov 12, 2009: Smart Salon, Energy & The City, Presented by Wired Magazine, IBM and Mercedes Benz., Crosby Street Hotel, New York City. : Mike Simonian speaking about the future of transportation. Nov 12, 2009: AIGA Fall Gala 2009: “HUNG UP”: Mike and Maaike contribute two custom-designed skateboard decks to be sold at auction at this AIGA event. Oct 20, 2009: Mike and Maaike speak at San Jose State University School of Art & Design. Sept 29, 2009: Mike and Maaike present a proposal for Broadway Street in San Francisco for GOOD Design SF as part of AIA SF’s month-long Architecture and the City festival. Sept 25, 2009: IDSA International Conference Miami: Mike and Maaike speak about their design approach and recent projects. Aug 20, 2009: Mindshare Los Angeles, Mike and Maaike on The End of Driving. Jun 26, 2009: Dwell on Design, Los Angeles. Mike and Maaike on the future of cars in Conversation with Sam Grawe, editor of Dwell. Jun 25-Aug 21, 2009: Material ConneXion exhibition of winners from I.D. Magazine’s 2009 Annual Design Review. New York, NY. Jun 25-27, 2009: DesignBoom Kitchen Ecology: Recipes for Good Design at Dwell on Design, Los Angeles. Jun 18, 2009: IDSA Studio Explorations - Mike and Maaike Studio, San Francisco. May 30, 2009: Maker Faire, San Mateo. Mike and Maaike on the future of cars. Jan 21, 2009: SFMOMA Architecture and Design Forum, San Francisco. Nov 15-30, 2008: Biennale Internationale Design, Saint Etienne, France. Oct 17-26, 2008: Solutions for the Ordinary-Extraordinary- DESIGN at Work. Kortrijk, Belgium. Apr 21-May 10, 2008: Swell Future Friendly Design exhibit:”30 Days of Sustainability” HSBC building, Vancouver, BC. Apr 16-21, 2008: Salone Internazionale del Mobile, Council 2008 Optimism Collection, Milan, Italy. Mar 27, 2008- blankblank “The Working Prototype” DWR, San Francisco. Jan 18- Apr 27, 2008- New West Coast Design: Contemporary Objects. San Francisco. Aug 19- Sept 30, 2007- California Design Biennial, Pasadena Museum of California Art. Nov 13, 2007- Mike and Maaike present at PechaKucha Vol. 19., Yerba Buena Center for the Arts. San Francisco. Oct 6- Nov 17, 2007- Anti-War Medals Gallery I/O. New Orleans. Aug 5-9, 2007- Windowseat Lounge featured at the Siggraph Art Gallery. San Diego. May 19-22, 2007- Mike and Maaike “Recent Experiments” exhibit at the International Contemporary Furniture Fair. New York City. Jan 24- Mar 4, 2007- Virtual / Tangible v2.0. An Exhibition of Digital Works by Jewelers and Meta-Smiths. Velvet Da Vinci. San Francisco. Jan 31, 2006- Mike and Maaike Spring Lecture Series at the University of Houston. Jan 25, 2006- Mike and Maaike present at PechaKucha Night-San Francisco. June, 2005 - California Design Biennial. Pasadena Museum of California Art. Oct 15-16, 2004 - lecture Thought at Work Conference. Rochester, NY. May, 2004 - Anti-War Medals at Electrum Gallery. London. Jan 1-March 21, 2004 - Thomas Heatherwick- Conran Foundation Collection”, Design Museum, London. Nov, 2003 - The Needs Trilogy: ACT III - HEALING. A benefit for Habitat for Humanity. San Francisco. Nov, 2003 - Core77 Hytrel Exhibit. Los Angeles. Nov 1-30, 2003 - Anti-War Medals Show. Velvet Da Vinci. San Francisco. May 31, 2003 - Inspiration Perspiration. Sony Metreon. San Francisco. May 17, 2003 - Coroflot Canary in a Coalmine Exhibition. New York City. May 17, 2003 - The Needs Trilogy: ACT II - SHELTER. A benefit for Habitat for Humanity. San Francisco. April 12, 2002 - Designboom/Sotheby’s Rocking Chair Exhibition. Milan, Italy. April, 2002 - Working 5-9: lecture IDSA MidEast Design Conference at COSI, Columbus, Ohio. March 14-17, 2002 - Plutonium Memorial Design Exhibition. Mars Gallery, Chicago. February 3-May 26, 2002 - Mood River Exhibition. Wexner Center for the Arts Columbus, Ohio. Sep 1-30, 2001 - Velvet Da Vinci Rock Paper Scissors show. We are excited to announce that Maaike has accepted the role of Jury Chair for this year’s IDEA awards..
Terp Collection for Artifort introduced at Salone del Mobile, Milan. Juxtaposed: Religion Anniversary Edition Released. Mike & Maaike - A Retrospective on Cultivating Industrial Design at Google. Mike Simonian speaks at Art Center’s Create Change conference in Beijing. Maaike Evers keynote speaker at IDSA’s first Women in Design conference in San Diego. Maaike Evers named one of the Fifty most inspiring Dutch women in technology. 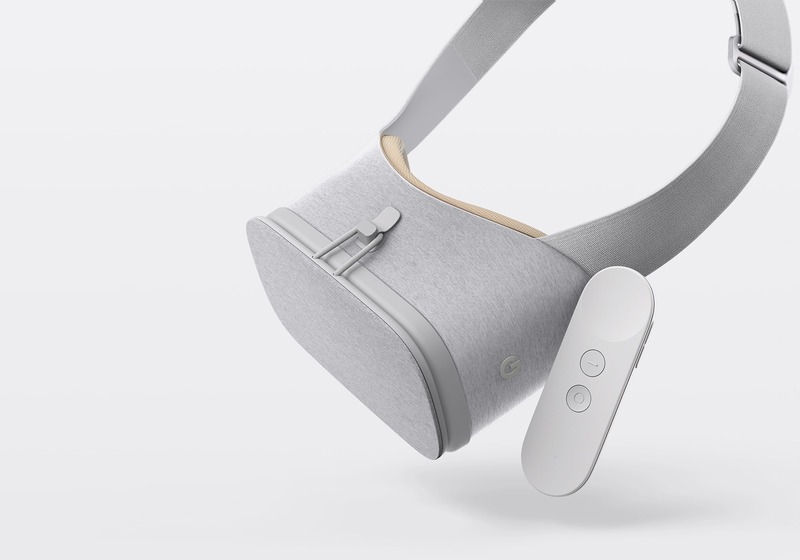 Google’s first wearable VR device, Daydream View is a lightweight headset that is simple, unintimidating and easy to use. The soft, breathable construction is inspired by clothing and softgoods, moving away from hard plastic VR devices of the past. The View is powered by an Android phone which slips into the headset with an intuitive elastic retainer. The auto alignment system uses software to align the phone image. The intuitive remote has a variety of sensors to understand your movements and has a home in the headset for storage. The Terp Collection is a gentle landscape of upholstered tables and poufs inspired by Dutch mounds, known as “Terps”. Dutch Terps are historic man-made landforms found in The Netherlands created to provide safe higher ground in flood-prone areas. 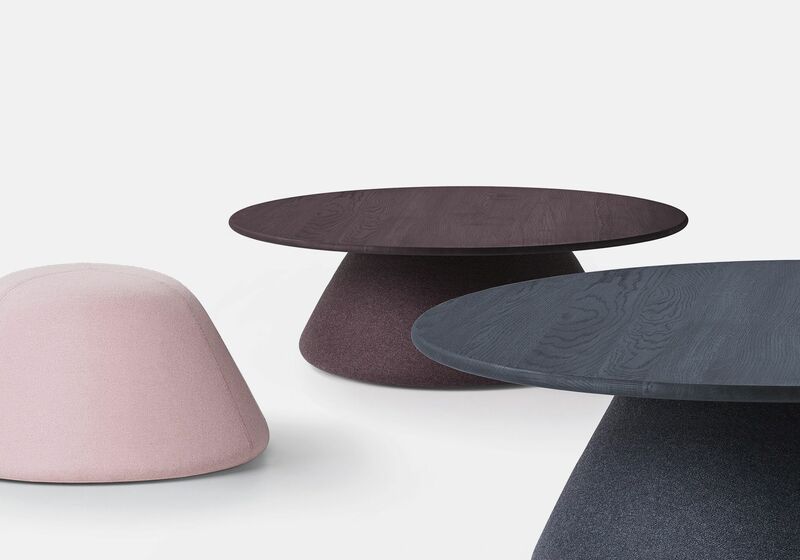 As with the Dutch Terps, Artifort’s Terp tables and poufs rise gently from the ground providing functionality and calm to home or office landscapes. Terp comes with an upholstered base with or without a solid oak table top and in a variety of sizes. Terp is available in two heights: 32 or 48 cm. The table surfaces are available in various widths 63, 70 or 100 cm. The tops are manufactured in 19 mm solid oak transparent lacquered or oil-finish, or manufactured in 18mm lacquered mdf. 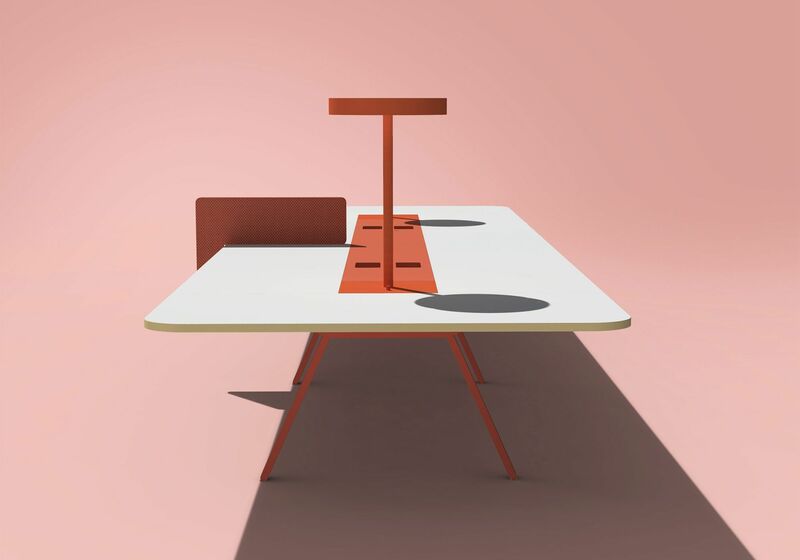 Tonic is a line of office furniture for a new generation of workers that seek simplicity and flexibility. The modular system includes benching, tables, storage, and accessories that support personal, shared and public work modes. Manufactured by Watson Furniture in Poulsbo, Washington. 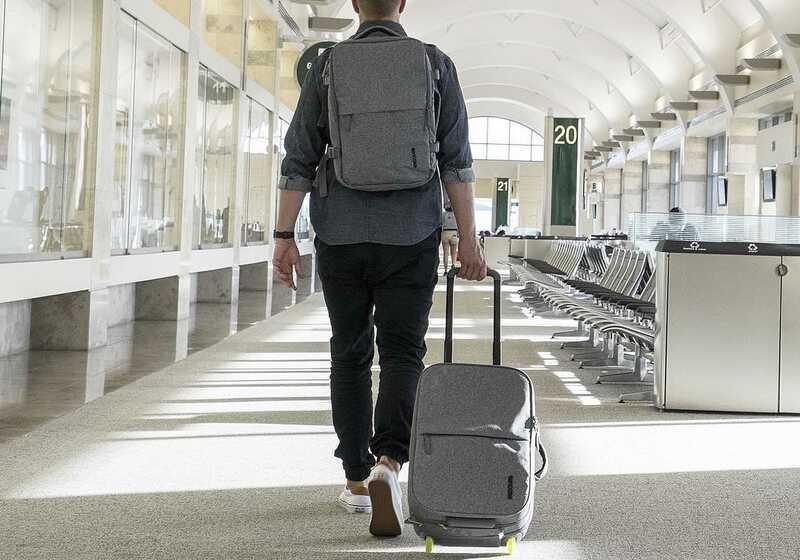 Designed in collaboration with Incase, the EO collection provides technology-optimised luggage to a new generation of travelers who mix business, pleasure & inspiration. Each piece is optimised for protection, packing, and airport security. ATNMBL is a driverless concept vehicle we designed in 2009 to provoke discussions around new goals for the auto industry. 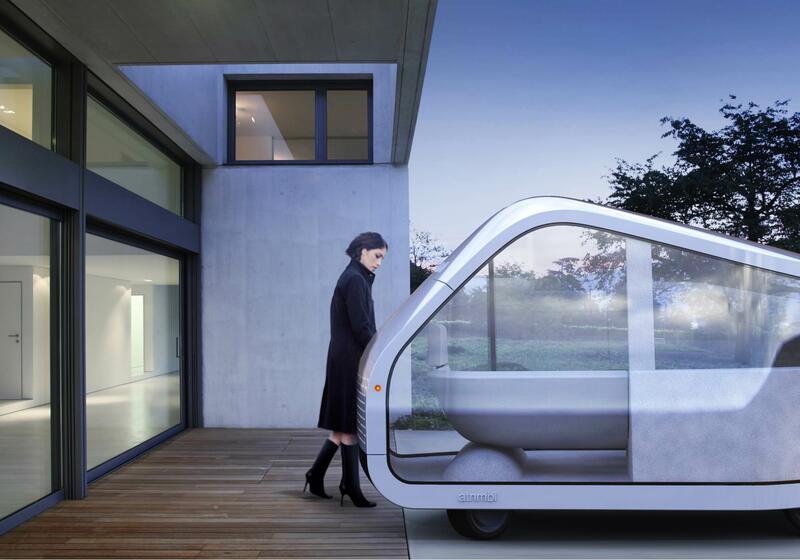 The vehicle is envisioned for the year 2040 and represents an alternative approach to vehicle design and interaction. ATNMBL is short for Autonomobile, a title that merges Autonomy with the Automobile. Upon entering ATNMBL, you are presented with a simple question: “Where can I take you?” There is no steering wheel, brake pedal or driver’s seat. ATNMBL drives for you. 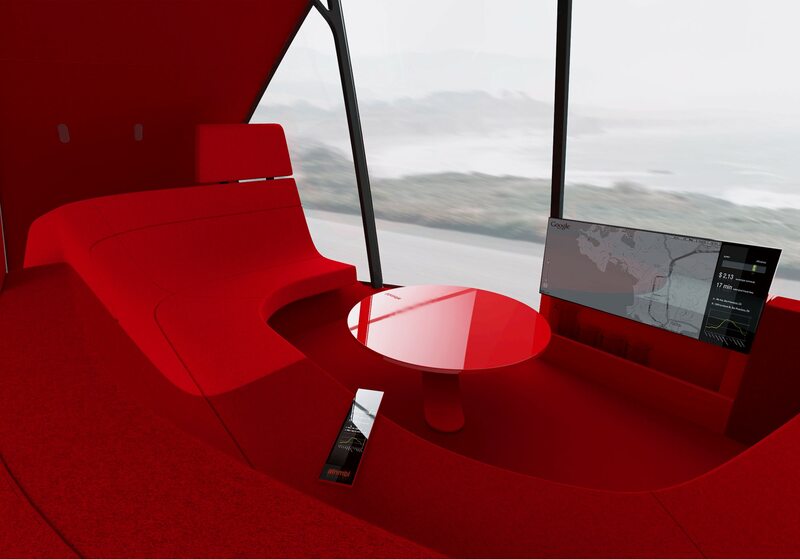 Electric powered plus solar assist, with wrap-around seating for seven, ATNMBL offers living and/or working comfort, views, conversations, entertainment, and social connectedness. Most cars can go 120 mph yet they are mostly used at moderate speeds and sitting in traffic. It’s time to look at performance in a new way. Dismissing the need for extreme MPH and acceleration as irrelevant, ATNMBL proposes a new standard of performance: one of time-saving, quality of life, and increased exploration. Freed from the monotony of driving, we can enjoy quality time while in transit: socializing, gaming, movies, business, videocalls, web surfing, sleeping or discovering new places with powerful voice controlled search and navigation. Speed has been the driving factor for automotive design, styling, and engineering for a century. ATNMBL is designed from the inside out with elements influenced by architecture and domestic interior spaces without reference to automobiles of the past. The vehicle’s mechanical components are densely packed and simplified, providing dramatically more interior space in a vehicle that is shorter than most cars on the road today. Electric motors in each wheel provide all-wheel drive. Electric power is stored underneath the seating and floor with additional power provided by solar panels on the roof. Within a gridded pattern on the front and rear is an array of headlights, tail lights and sensors. Passengers enter ATNMBL from the curb side through an electric glass sliding door into a standing-height entryway. Inside, the seating arrangement is a direct reference to the familiar living-room setting of a couch, side chair and low table. Riders are oriented towards each other and to the view outside through the large floor-to-ceiling windows on both sides. Centrally oriented is a large flat display that features live trip information, maps, and entertainment. The display can slide up to reveal a bar behind. A new and comprehensive sense of control is introduced through voice recognition and a touch screen remote control (or one’s personal phone), offering riders a wide range of trip planning, ride sharing and performance settings that can be very detailed for those who want elaborate control or extremely simple for those who would rather just relax and enjoy the ride. Driverless cars, once a fantasy requiring new roads and infrastructure, are now technologically possible. GPS, sophisticated sensors, and navigation databases will allow driverless vehicles to operate on the same roads we have today. It’s inevitable that technology will eventually allow cars to outperform their former drivers. This will drastically reduce the fatality rate and provide new experiences that will enrich our lives. Just imagine the potential in efficiency, time management and social networks and the breakdown of age and disability discrimination. – our cars can make money for us (ride share and car share). – and most importantly, far fewer fatalities and there will always be a designated driver. Existing ideas of private ownership will evolve. As organizations like Zip Car or GoLoco adapt to driverless cars, people will share/ rent cars regularly, an option that will prove irresistible when cars drive themselves to your location for pickup with just a phone-call. On a typical morning commute, for instance, once your ATNMBL has taken you to work, it can continue taking other people within your social network to work, thus making you money, rather than sitting idly in a parking lot. Groups of vehicles can travel in and out of swarms, each vehicle communicating with each other, with the traffic lights, with manually driven vehicles and with the infrastructure as a whole. They can group closely together to behave like a train, like a bus, or like individual cars, reaping the benefits of each of these modes, and solving the “last mile problem”. – open-source software with downloadable apps for carpool and car-share through social networking, pre-loaded trips, city tours, virtual drivers, etc. Where does architecture stop and furniture begin? Suitable for both public and private spaces, the Windowseat is designed as a comfortable refuge from the hustle and bustle of lobbies, airports or open office environments. By taking architectural elements (walls and ceiling) and applying them to a chair, we are exploring the idea of sub-architectural space, creating a room-within-a-room complete with its own unique perspective. Full upholstery over a foam-padded rigid steel frame. Swivelling steel base with return-to-center. Offered in both open and closed versions with or without ottoman. From 2012-2014, we founded and led Google’s Industrial Design Team for mobile devices, introducing our industrial design process and point of view to Google. From this team came Google’s most successful mobile devices to date developed in collaboration with LG, HTC, Asus, and Motorola. 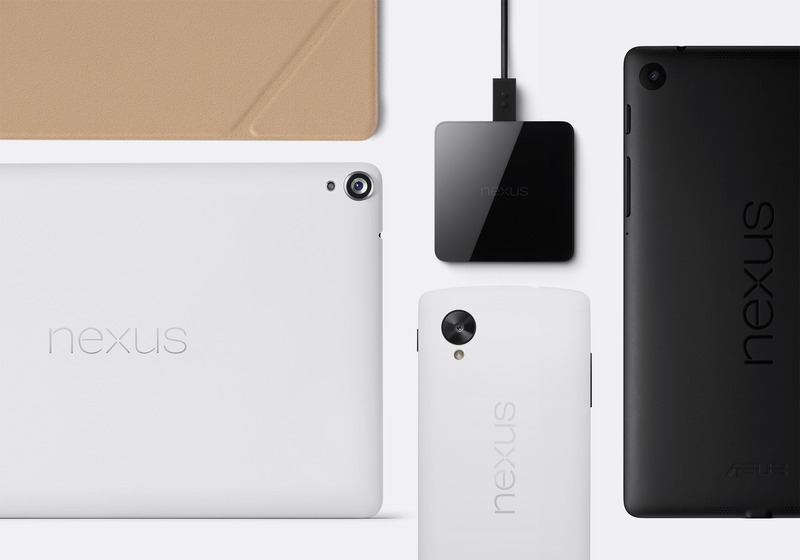 The Elemental Design Language incorporated layered materials, minimalist details and graphic shapes across Google’s flagship devices including Nexus 5, Nexus 7 and Nexus 9 as well as a cohesive line of accessories. A soft, folding ergonomic stand & sleeve for laptops. Invented, patented & designed by Mike & Maaike. Manufactured by Kensington. 7,577,000,000 people 5,360 pages 3,700 years 206 countries 7 books 1 shelf. To mark the 10th Anniversary of the original Juxtaposed: Religion bookshelf released in 2007, we are introducing the Juxtaposed: Religion 10th Anniversary Edition. With the divisive sociopolitical climate we find ourselves in, the need for peaceful coexistence and mutual understanding is even more critical and the message more relevant than ever. 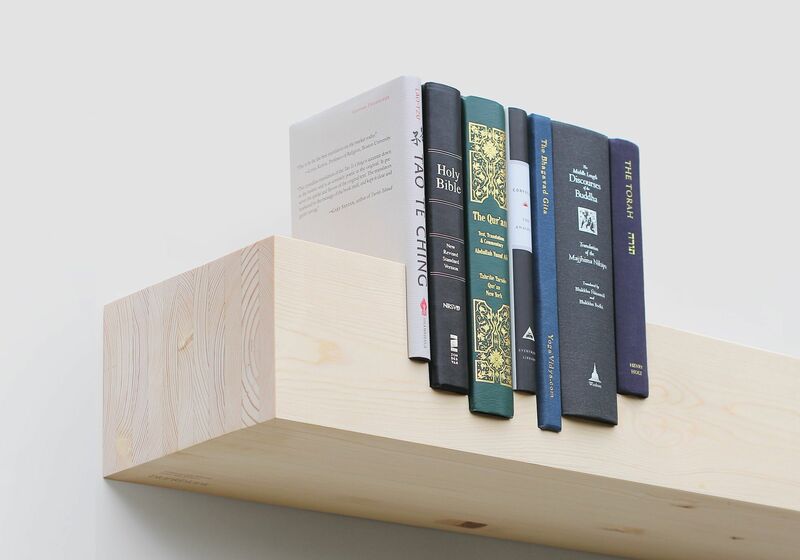 This new edition is crafted from sustainably harvested Pine and as with the original, includes seven volumes representing the most influential world religions, each book raised to the same level physically and symbolically. Juxtaposed: Religion 10th Anniversary Edition is available from Blankblank. 5,084,000,000 people 5,360 pages 3,700 years 243 countries 7 books 1 shelf. For the first time, the world’s most influential religious texts are brought together and presented on the same level, their coexistence acknowledged and celebrated. Reclaimed hardwood, books. 36”w x 5”h x 8”d. Offered in a limited edition of 50. The second in the Juxtaposed series of curated bookshelves. Designed by Mike and Maaike for blankblank. Curated by Athmeya Jayaram. 2,451 pages 2,390 years 2,251 wars 432 revolutions 90 empires 7 books 1 shelf. Seven of the world’s most seminal texts on power and its relationship to the ordering of society are brought together and presented on the same level. In 2014 we founded Google X’s central Industrial Design team to support “moonshot” projects. We collaborated with scientists, researchers, and engineers to work on some of the world’s biggest challenges including health, energy, and transportation. Our collaborations included Verily, Makani, Wing, Dandelion, Loon, Driverless Cars and additional undisclosed projects. Swarm is a room divider that offers great flexibility in density and scale enabling the creation of light-filled, intimate spaces within open environments. The self-standing units blend together when arranged in groups. The term Swarm describes an aggregation of animals (insects, fish, birds and microorganisms) of similar size and body orientation, generally cruising in the same direction. 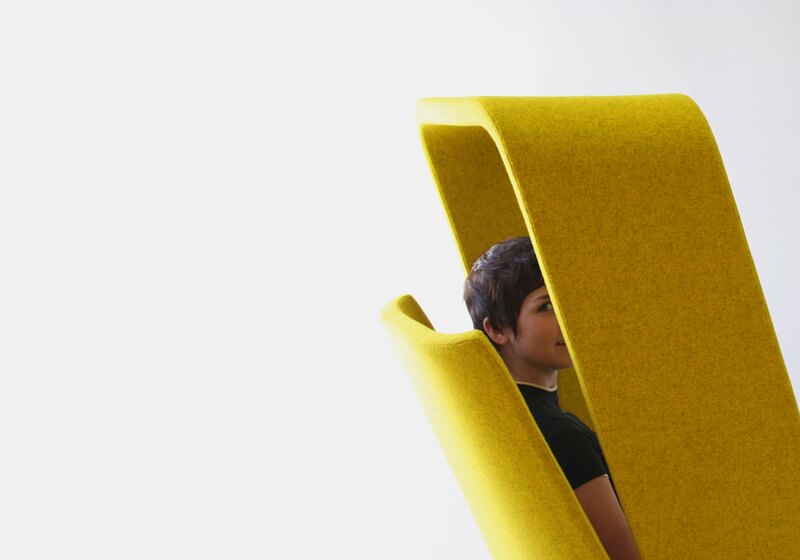 The Swarm space divider displays a similar behavior, softening spaces, fading in and out, creating texture and motion. Industrial Design for JOOS, a Silicon Valley startup that produces powerful personal solar chargers. Art Direction in collaboration with Manual Creative. 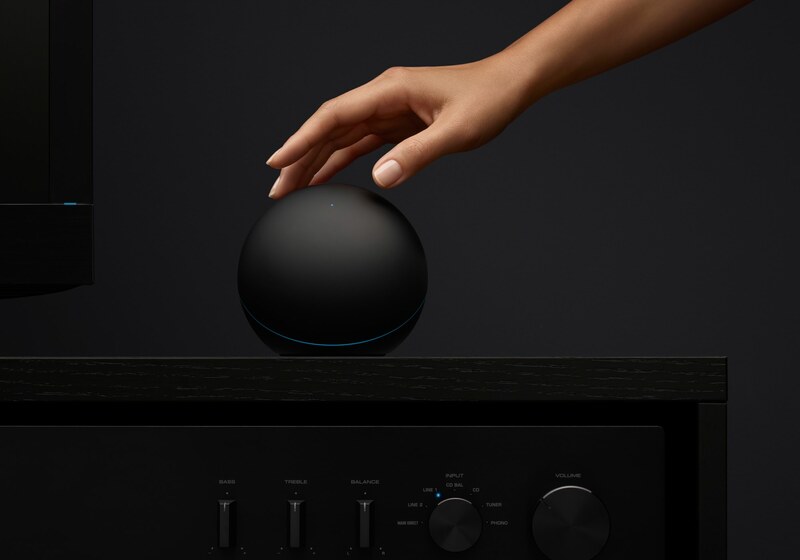 Beginning in 2011, we developed Google’s first internet-of-things suite of products for the home including streaming media players, home automation hubs, and lighting control systems. Our design approach reduced devices down to basic elements - this was the foundation of Google’s Elemental design language. The Mute chair is designed to inspire serenity and calm. 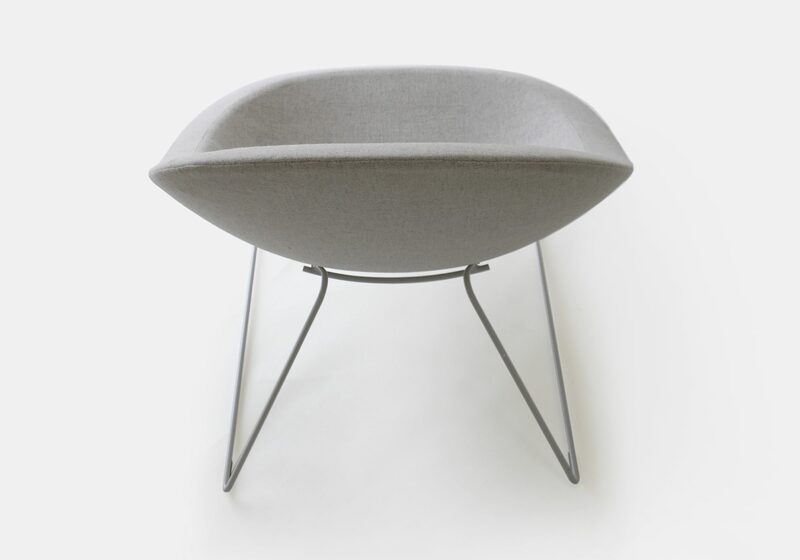 Uninterrupted lines flow quietly around the fully upholstered shell as the form transitions from seat to back. The profile of the outer perimeter serves as a 360 degree armrest, allowing for a variety of postures and seating positions. DIVIS is a solid wood dining table that seats 8 people. Strength, pliability and the natural character of wood are expressed through a structural narrative of planned imperfections. The DIVIS bench can be used independently, or in combination with the table. An exploration of tangible vs. virtual in relation to real and perceived value. Using Google Image Search, we browsed through some of the most expensive and often famous jewelry in the world, the low-res images we found were stolen, doctored, then transferred to leather, creating a tangible new incarnation. With the expense and intricacy of the jewels stripped away, their essence and visual intensity are extracted. Designed by Astro Studios in collaboration with Mike Simonian of Mike and Maaike. The XBOX360 is designed around the concept of gravitational pull. As an expression of this idea, the exterior form is pulled inwards in the distinctive negative curve. The system’s subtle presence has allowed it to appeal to a broad audience beyond traditional gamers. As of April 2010, over 40 million have been sold. 14,500 tons of VOCs are emitted from the 46,200 tons of lighter fluid used in the US every year. The Baja BBQ pack is a 100 percent recycled instant charcoal package with an integrated chimney. The paper-pulp package lights instantly and burns away in the grille, making barbequeing simple, clean and chemical free. Soft laptop computer accessories designed for the home. Most laptop cases and accessories are designed for the business traveler. We focused instead on the challenges of using a laptop in the home, including use in a variety of locations and postures, protection, transport, comfort and color. The G1-the first production phone to run the Android operating system. Working with Google, we envisioned a device that would run the open-source Android operating system, extending the functionality, intelligence, and ease of the Android experience into a phone. The device has been developed for production by HTC and offered by T-Mobile. 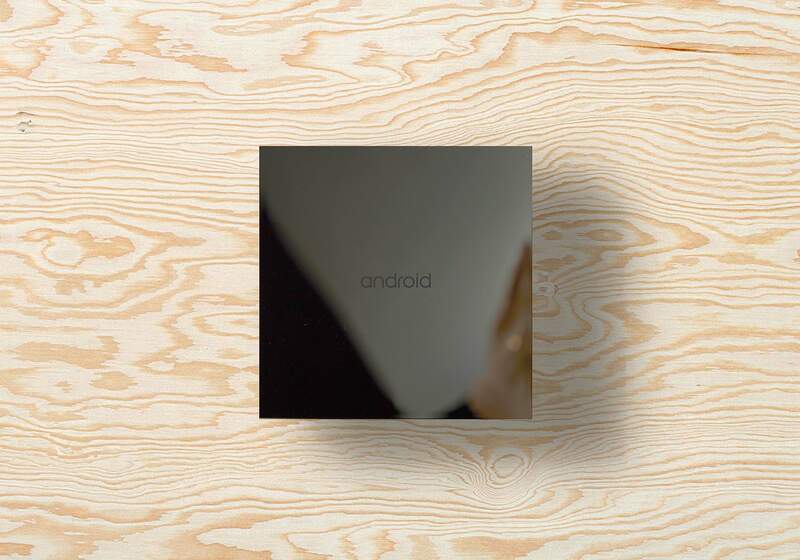 Developed with Google as a testbed device for the Android operating system, this device was produced and distributed to Google employees and software developers. It takes 24,110 years for spent nuclear fuel to reach its half-life. Up until 2010, the United States was planning to bury 70,000 tons of nuclear waste created by nuclear powerplants across the country at a remote site in Nevada called Yucca Mountain. 24110 is an alternative proposal for a combined nuclear waste dump and memorial. 500 tons of radioactive plutonium buried within meters of energy policy makers: the White House, U.S. Congress, Senate, and the U.S. Department of Energy. The project represents a design exploration as political discourse. The memorial is designed to express time and volatility, expose the source, and admit our fatuity. A line of computer mice specifically designed for casual use in the home with a focus on portability, multi-mode ergonomics and hygiene. Designed by Mike Simonian in collaboration with Pieter Schouten. The Flowlab Skateboard allows you to surf without waves and ride without snow. Years of experimentation resulted in the geometry that allows a device with no moving parts to simulate the fluid motion of snowboarding or surfing on land. The arced axles let you carve to 45 degree angles with no resistance and fluid transitions edge-to-edge. Two beams cantilever impossibly in space, rotating with the slightest air movement and causing many to scratch their heads. The ever changing composition reaches, rotates and jacknives, visualizing the movement of air and bringing architectural interiors to life. Proprietary construction produced in various sizes in limited quantities. Offered at select galleries. Availability: contact Mike and Maaike. For IDEO.org launch, Tim Brown moderates a panel with designers Maaike Evers from Mike & Maaike, Rob Forbes from PUBLIC, and Maria Giudice from Hot Studio. Plywood for Good. Mike and Maaike contribute a custom-designed skateboard deck to be sold at auction at this event to benefit earthquake aid relief efforts in Japan. Maaike Evers Speaking at “InMotion: Live, Drive, Innovate” in conversation with Benoit Jacob, Head of Design BMW i, Mitchell Joachim of Planetary ONE & Terreform ONE, and Sam Grawe, Editor-in-Chief Dwell Media. Mike Simonian joins Mitchell Joachim and Yves Behar in a discussion of the future of urban transportation in Surface Magazine’s July/Aug cover story “Road Map To Tomorrow,” Interview by Tim McKeough. ICFF, New York: Mike and Maaike create an installation of “Swarm”, designed for Council at the ICFF Theater in the Javitz Center during the International Contemporary Furniture Fair, New York City. BIAS candleholders for Phase will debut on May 13 at PROPERTY: 10 YEARS OF IMPORTANT DESIGN. 14 Wooster St., New York, NY. Mike Simonian winter lecture at the University of Oregon. Mike and Maaike speak at San Jose State University School of Art & Design. IDSA International Conference Miami: Mike and Maaike speaking from 10:45-11:45 AM at the Loews Miami Beach Hotel. Dwell on Design Conference L.A. Convention center: We will speak about our new exploration into the future of the automobile. In conversation with Sam Grawe, editor of Dwell. Saturday June 27 at 1:30. Mike and Maaike Studio Exploration sponsored by IDSA. A discussion of our design approach and the debut of a new project. Mike and Maaike speak at Maker Faire. Mike and Maaike speak about their approach to design at the SFMOMA A+D Forum. 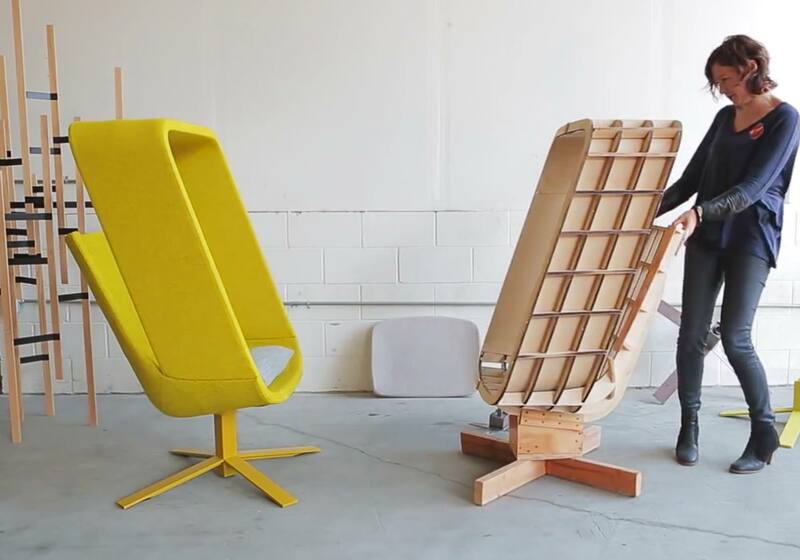 Mute Chair and Windowseat Lounge receive ID Magazine Annual Design Review Awards. Juxtaposed: religion featured in the Swell Future Friendly Design exhibit: “30 Days of Sustainability” HSBC building, Vancouver, BC. Juxtaposed: religion featured in blankblank exhibition: “The Working Prototype” at Design Within Reach, San Francisco, California. Mike and Maaike Artists in Residence at the Guerilla Studio at Siggraph in San Diego, California. Juxtaposed: religion featured in blankblank exhibition: “The Working Prototype” at Design Within Reach, Sacramento, California. Mike and Maaike Recent Experiments exhibit at the International Contemporary Furniture Fair in New York City. Mike and Maaike introduce The Stolen Jewels Collection at the Virtual / Tangible v2.0 exhibition, Velvet da Vinci, San Francisco. Windowseat Lounge featured in the book “Cool Hunting” by Dave Evans. Mike and Maaike Spring Lecture Series at the University of Houston. © 2019 Mike and Maaike Inc.